It’s time once again for the Top 3 Indies Artist Video Countdown. 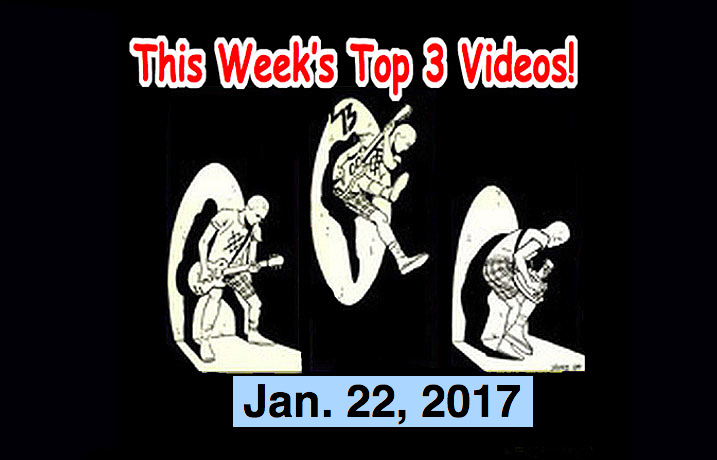 The Top 3 best Indies and Alternative Music artists for the week of Jan. 22, 2017! About Mike in Tokyo Rogers: Mike has been a professional music/TV/radio/anime-related program producer in Japan since the eighties. He began in the music business in 1977 as lead vocalist with the crappy but legendary Los Angeles Punk Band, “The Rotters” (Sit on My Face Stevie Nix.). As a university student, he was assistant to the legendary Rodney Bingenheimer (Rodney on the ROQ – KROQ Los Angeles from 1980 ~ 1981.) Mike was the first and only foreigner in Japanese history to become the General Manager of a major Japanese broadcasting station (TV Tokyo owned InterFM). Has produced a few smash hit programs and several of Japan’s highest rated and most famous radio programs. A recent hit program was “The TV Show” (Set Program with “Ninja Slayer”) which, between April – Oct. 2015, garnered over 10 million viewers. He is currently producing and hosting “WTF?” the hugely popular Sunday live show on InterFM 89.7 as well as Rakuten Superrr Radio’s Power Morning everyday Mon. ~ Fri. 6 am ~ 10 am. As well as Rakuten Superrr Radio’s Power Evening Mon. ~ Fri. 5 pm ~ 8 pm. And His life’s dream is “Ghostroads – A Japanese Rock and Roll Ghost Story”which will be released by a major Japanese motion picture company and in theaters all across Japan in Oct. 2017. Oh, and Mike drinks too much.